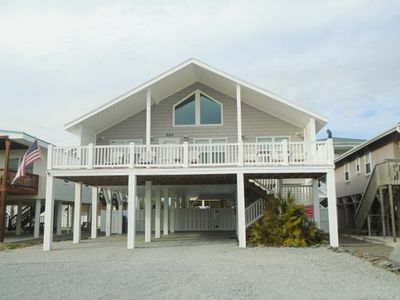 Beautiful home on the West end of OIB. 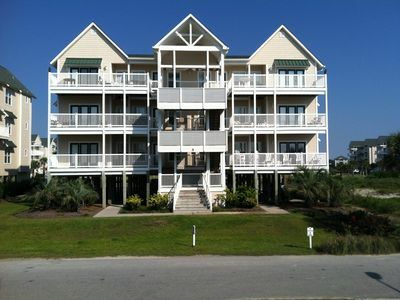 Beach AND sound front! 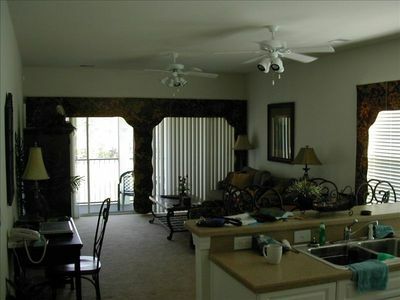 This is a private home in the exclusive gated community of OIW. It is third from the end of the island. With 6 bedrooms and 6 1/2 baths, you can't find a better home! It was originally designed to provide water views from each bedroom of the house. From the beachfront master with the best bathroom you've ever seen, to the soundside suites, to the third floor where panoramic views are fantiastic...each room is amazing in its own way. Each bedroom has a great uniique private bath. 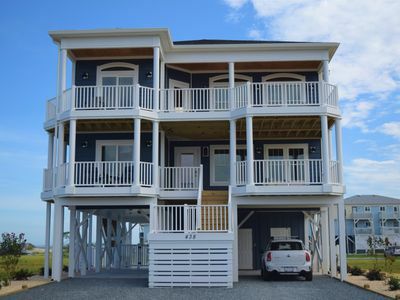 Both the sound and oceanfront have a porches on the first and second floors where you can sit, relax, and take in the beauty of the ocean. 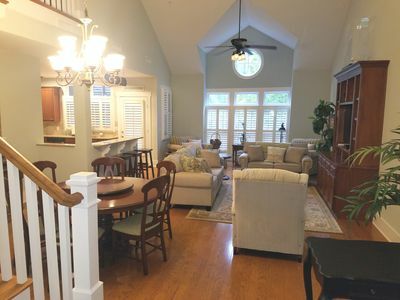 The home is child friendly, and perfect for entertaining. 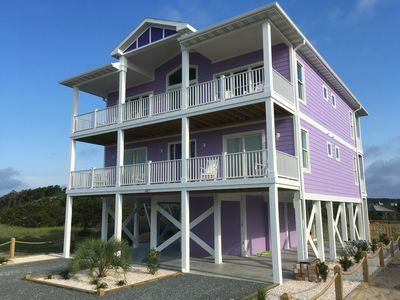 We have a private hot tub and private pool, private tidal dock on the soundside, private pier to the oceanside, beach chairs, beach umbrellas, ocean/sand toys, pool floats...just bring susncreen and a suit! Linens may be ordered from Angie’s Linen Service. 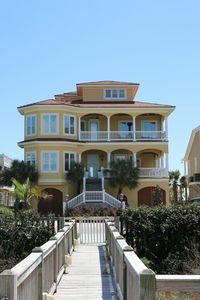 We've rented in OIB for years and purchased this house, not only because we LOVE OIB, but because we LOVED this house! 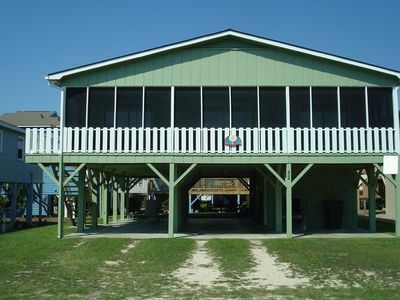 Access the beach from the front or the back. Whether the tide is low or high, there's always sand on either side. The house has been professionally decorated in a Mediterranean style, with fine accessories, and a few personal touches that have made it unique to our family. Full kitchen with granite and quartz countetops,, 2 dishwashers, induction cooktop with pop up downdraft vent, icemaker, 2 refrigerators (one in kitchen and one on lower lever), beer/wine refrigerator, oven, convection microwave, potterybarn kitchenware. New washer/dryer and 1/2 bath on the first floor. 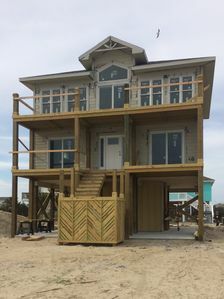 The second floor has an oceanfront master (K), oceanfront 'kids room' (Q, 2 sets of BB), 2 soundfront bedrooms (K, K), additional middle bedroom (Q) with limited waterview. 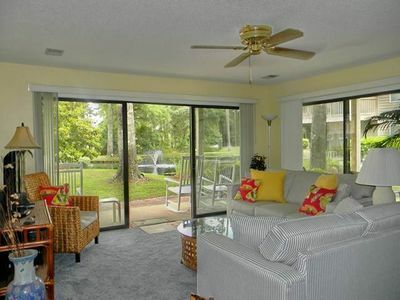 Third floor boasts panoramic views (2 Q), and a full daybed. 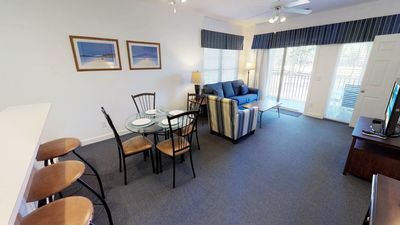 Each bedroom has a television with cable, DVD payer, alarm clock with a USB port, and an additional 5 port charger the works with any usb compatible device. Another 6 port charger is located nest to the Bose speaker in the kitchen. There is an additional queen sleeper sofa in the game room on the first floor. 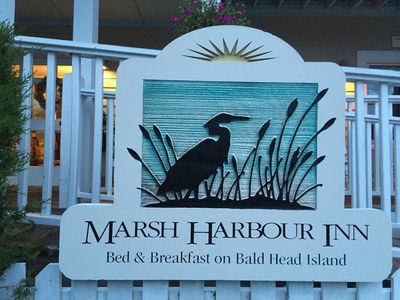 House sleeps 18 (counting only beds, not daybed or sleeper sofa) comfortably. Come and see the house. You will find out home the home was appropriately named 'Isle Be Back'. 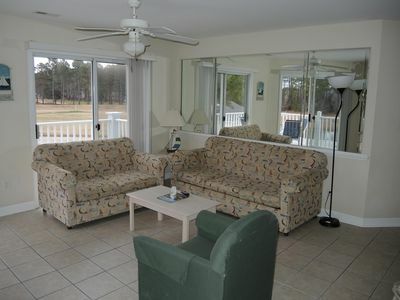 This Pet Friendly Home is just a few minutes from the white sands of Holden Beach at a great price! 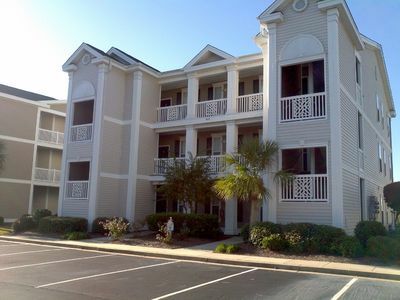 3 night minimum year round! 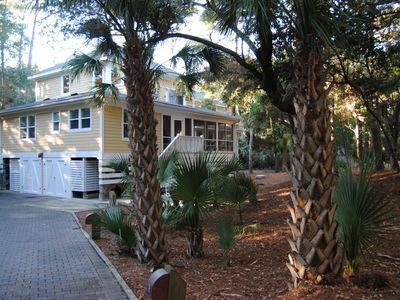 Captain Charlie's I- one of three historical cottage along South Beach. 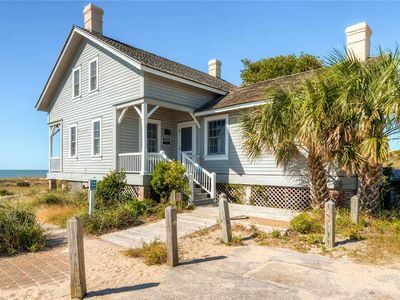 Shell House - Less than a block to beach access and newly updated! New Construction Property!! 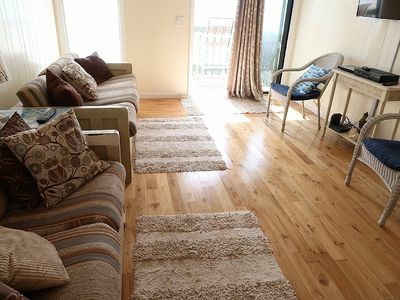 5 Bedrooms Sleeps 14!! 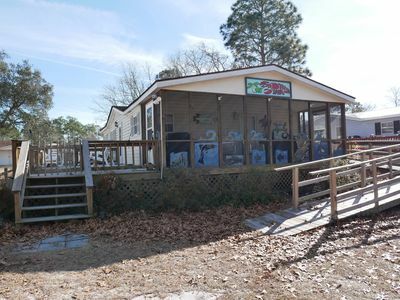 E1 369, "The Isle of Dreams" is an excellent property with outside entertainment at its finest. 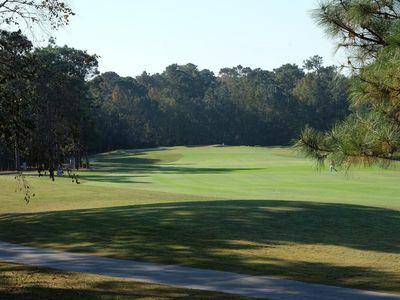 Beautiful Golf View Condo with Screened Porch, Free WiFi & Parking! 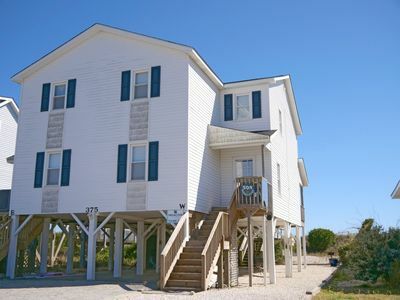 NEW to PROACTIVE Vacations - Fun in the sun and the living is easy at Son Worshipper, perfectly located Ocean Front duplex 4 bedroom, 3 bath with easy beach access. 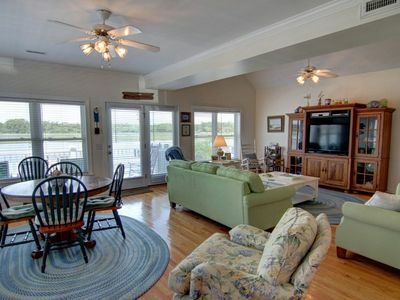 Beautiful Waterway Home with Panoramic Waterway Views!